Breakfast was too early for these eyes, and I enjoyed my bed so much. I enjoy even more being able to opt-out of what other people are doing, having the strength, the courage and ability to voice my preference for a solitary day. I want to do work, I told myself, like my series of poems that all start with that phrase, but the kind of work that is good; instead, I fell back to the bed again and slept. And slept. And through the sleep, I dreamt about men and singing and smoking and living the kind of life that warrants enjoyment. The alarm broke through, but these eyes were resisting the peeling. Even in the dreams, they stayed shut. What does it mean to wander through dreams with closed eyes? A girl needs a brush. A girl hopes to find it. A girl could look more closely. You should be able to know where in the book I am. An email came today: Thank you for your Learning. We had a very strong field of applicants. We were looking for the most useful. We were glad to know you. Many people offered the importance of poetry, and hope. An advantage for the post. You will take advantage of the experience and your future. Good wishes are very strong, but not the combination for us. (Those aren’t the words in the order they arrived in. I took them, and melted them down, and grew them into something I liked more). It’s not that I’m upset not to have gotten the job. I know I have more than enough jobs right now. It’s just that — without a direction, it becomes all too easy to ask What am I made for, if not this? We want you to enjoy the contrasting experience, just like you enjoy the contrasting buffet. And we want you to reach the place (and practicing Virtual Reality will help you to gain this confidence) that whenever you’re in front of a buffet that has so much that you do like to eat, as well as some that you don’t like to eat, you don’t feel frustrated that there are things there you don’t want to eat. You don’t feel compelled to put them on your plate and eat them; you just pick the things that you like. And the Universe of thought is the same way. You can choose from it the things that you like. 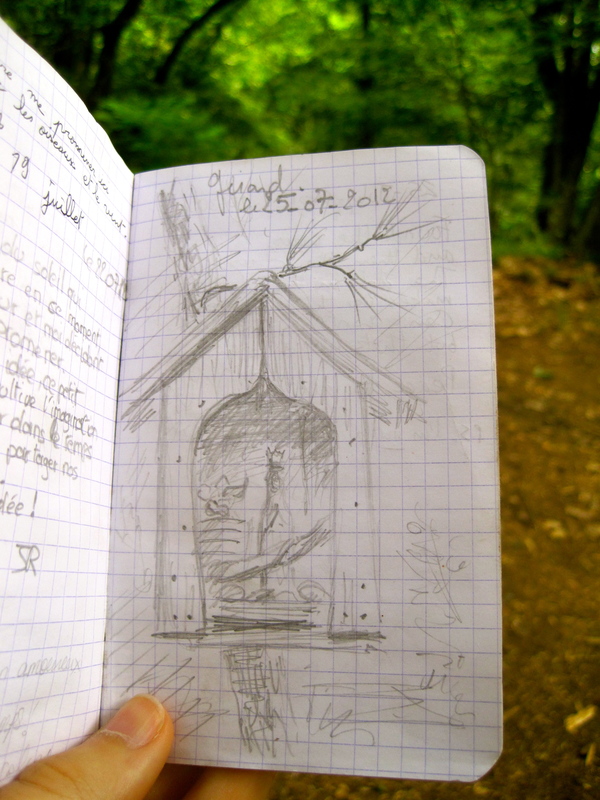 In the hike, a chapel appeared — a chapel in the woods, the size of a birdshouse. My kind of chapel. A chapel with offerings, with a notebook, with small writings and drawings. 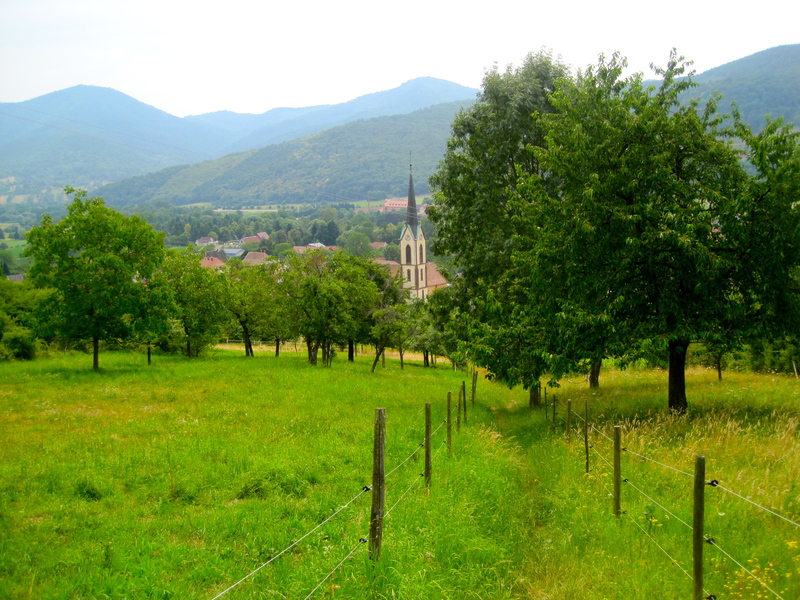 I am glad for the chapel in the woods. I am glad for the woods. I am glad for the notebook and the people who write in notebooks. I am glad for paper and sticks and ink and graphite and the courage to rein in focus and follow the fingers. I am glad for the fingers, and for the voice. I am glad for the wind and the light and the life.